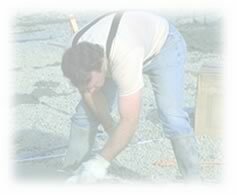 Quality concrete construction requires efficiency and labor-saving measures for contractors and do-it-yourselfers alike. We strive to fulfill our customers needs by using the latest technology available in product quality, equipment, delivery and performance. River City Ready Mix has a concrete pump truck available when you have a project that needs a "little extra" reach. Our Putzmeister pump truck is capable of reaching 100 feet clear span and 200 lineal feet if needed. 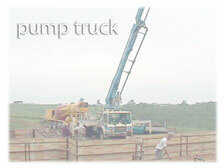 Where can you use a pump truck?